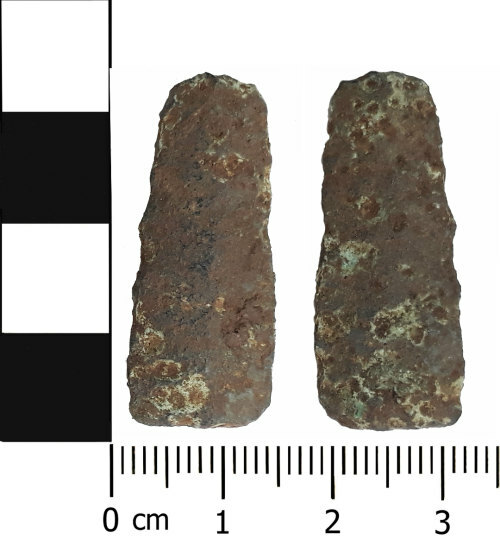 Fragment of a copper-alloy cast blade, possibly from a rapier. The blade point is Bronze Age in date, though not enough of the artefact remains to more precisely date it to within this period. The item is an elongated triangular shape, with a narrowed end. There is a central midrib.